The LG G7 ThinQ is here and it’s a beauty! We’ve already gone hands on with LG’s latest flagship, and so far we very much like what we see. It’s got an improved camera, a great look, and a dedicated Google Assistant button. It looks like an overall improvement over the G6 — such a combination of power and design makes for a pretty great phone. Of course, the center of any phone experience is the screen. As such, scratches and dings can ruin a phone experience. Screen protectors can mean the difference between a great phone experience and a bad one. We’ve all had that moment when we find a small scratch on a screen and it becomes all we see. So, to keep your phone safe, we’ve put together a list of the best LG G7 screen protectors you can get today. Check it out. The Avidet 9H hardness tempered glass screen protector is another great option to keep your phone screen safe. The tempered glass with 9H hardness is only .3mm thick, so it feels great on your screen. The glass is quite durable and scratch resistant, ensuring your phone’s screen stays immaculate. Included in the package are two screen protectors, wet and dry wipes, a cleaning cloth, and dust removal stickers for easy installation. TopACE has a tempered glass screen protector that boasts 99.9 percent high-definition clarity. The screen has a hydrophobic and oleophobic screen coating that protects from fingerprints, oil residue, sweat, and other smears and smudges. The screen protector is just .26mm thick and boasts 9H hardness for maximum protection from scratches and scrapes, accidental drops and spills. The protector has one push easy installation, which couldn’t be simpler. 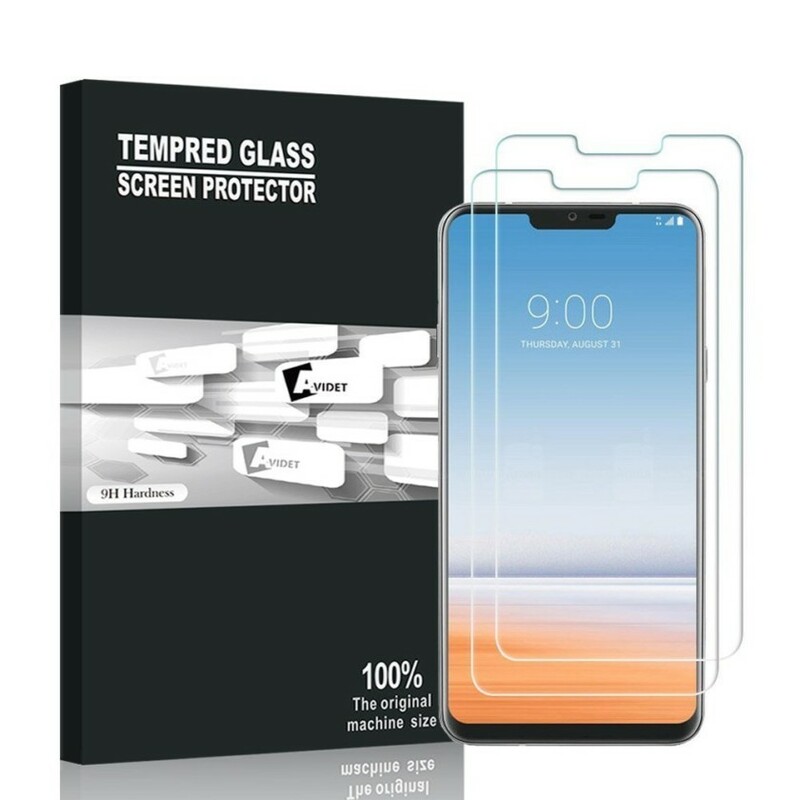 Wellci’s Tempered Glass screen protector has a 99.99 percent clarity and 2.5D technology for a smooth edge transition between the curved screen and the protector. This screen protector is only .26mm thick, resulting in high responsiveness and a great touch feeling. The 9H hardness resists scratches even from a knife, and an oleophobic coating reduces smudges and fingerprints, keeping your screen perfectly clear. That’s it for our roundup of the best LG G7 screen protectors available. Did we miss any on this list? Did you pick any of these up to protect your new phone? Let us know down in the comments!